The proposed childcare measures would ensure enough subsidized childcare slots for all low- and middle-income families who need it. 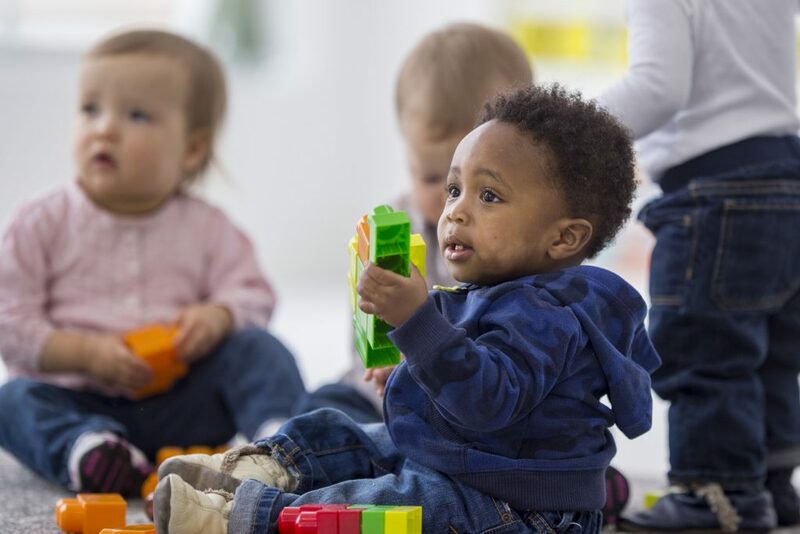 Voters in Alameda and San Francisco counties will have a chance on June 5 to approve tax measures funding ambitious childcare programs that organizers say would provide enough subsidies for all low- and middle-income families who need them. The two measures would each raise more than $140 million annually to expand existing childcare programs, boost the educational quality of those programs and increase the pay of childcare workers. The goal is to help parents go back to work after the birth of a child and improve children’s readiness for kindergarten. Alameda County’s measure would require a 2/3 majority to pass, but San Francisco’s only needs 50 percent plus one. That could change, however, depending on a potential legal challenge regarding how local tax measures are passed. In Richmond, in Contra Costa County, voters will also be deciding on a youth measure on the June ballot. The measure isn’t expressly devoted to child care, but includes early childhood education amid a host of services for young people up to age 24. The services, which include after-school programs, job training and tutoring, would be funded by setting aside 3 percent of the city’s general fund. Other childcare initiatives are also in the works, as the August deadline for the November ballot approaches. In Oakland, city leaders are aiming to put a new parcel tax on the November ballot that would fund preschool and other children’s programs for the city’s low-income families. If this and Measure A both pass, Oakland taxpayers would be funding both initiatives. Three other counties are also considering childcare initiatives for the November ballot. Yolo’s measure would be a sales tax and Santa Cruz and San Joaquin counties are both organizing plans to use marijuana taxes to fund child care for families who can’t afford it. So far, all the proposals are in Northern California, but Funding the Next Generation is hosting a free conference in June in Los Angeles to spur counties in Southern California to launch their own measures. If San Francisco’s Proposition C passes in June, the city would have some of the most wide-ranging subsidized youth services of any city in the country, Brodkin said. The city already subsidizes preschool for all 4-year-olds — funded through a 1991 charter amendment that sets aside 4 percent of property tax revenue for after-school programs, job training and other youth services — and has a limited program available for children as young as 3 months. Measure C would expand the childcare and preschool programs so those programs can serve all low- and middle-income families who need it, said Supervisor Norman Yee, one of the measure’s sponsors. The funding would come from a 3.5 percent tax on commercial rents over $1 million a year. Childcare subsidies would be available to all families with children 3 and under who earn up to twice the city’s median income for a family of three, which in San Francisco is $207,500 a year. Those who earn 85 percent of the median income — or $88,187 annually — would be eligible for services for children up to age 6. The subsidies would be given on a sliding scale, based on a family’s income. Alameda County’s Measure A would be a half-cent sales tax. Like its San Francisco counterpart, the measure would pay to expand existing childcare centers, recruit and train teachers, expand existing facilities and push for more home-based childcare centers in order to meet the demand for new slots. Although it would push the sales tax in some cities to nearly 10 percent, the investment is worth it, said Clarissa Doutherd, executive director of Parent Voices Oakland, a nonprofit that’s supporting the measure. California’s average sales tax is 8.25 percent, although it’s 9.25 percent in most cities in Alameda County, including Oakland. Newark, Union City, Hayward, San Leandro and Albany have a rate of 9.75 percent. Doutherd cited a study by James Heckman, a Nobel economist at the University of Chicago, who found that every dollar spent on early childhood education and high-quality child care saved $7 to $10 later on, as those children performed better in school, went on to higher-earning jobs, were less likely to be involved in crime and had fewer health problems. Backers of both measures say they have strong public support, but historically childcare initiatives have been a tough sell to voters. Last fall, all four childcare measures on California ballots failed, in one case by just a few hundred votes. Voters in Marin, Napa, Solano and Sacramento counties all nixed childcare initiatives. Marin, Napa and Solano all called for sales taxes, and Sacramento’s was a marijuana tax. But organizers behind measures A and C learned from those campaigns, Brodkin said. 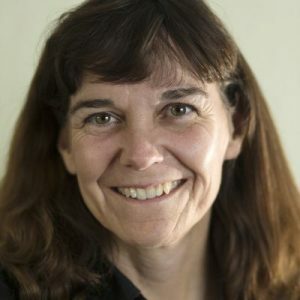 Alameda County’s Measure A, for example, is backed by labor unions that support higher pay for childcare workers, was composed after nearly 100 “listening sessions” with community members and has greater financial backing than its predecessors, Measure A campaign manager Casey Farmer said. The measure is sorely needed in Alameda County, where housing costs rose nearly 12 percent last year, according to Zillow, and high-quality child care can be expensive and scarce, Farmer said. More than 7,000 low-income families in Alameda County are on the waiting list for subsidized child care and only 31 percent of young children with working parents are enrolled in licensed childcare facilities, according to the Measure A campaign. In cases where parents can’t find care for their youngsters, they rely on neighbors, friends and family or are forced to cut back their work hours — a hardship for families already struggling to pay rent. Oakland parent Delise Monroe was lucky to find subsidized child care for her sons, which has enabled her to work and support her family. Before, she had to rely on friends and relatives, who were often unavailable because they’re also working, or she quit jobs because she couldn’t find care for her children. Monroe now works three jobs, including one at the Oakland International Airport and another at Noah’s Bagels, and earns enough to support herself and her four children. Because she’s still low-income, however, she qualifies for subsidized child care. In San Francisco, Proposition C will allow thousands of low-income parents to return to the workforce, Yee said. That would be a boon for families trying to survive in a city with the nation’s highest cost of living, according to Nerdwallet. It might also help keep families in the city, he said. Partly due to the high cost of living, thousands of families have left San Francisco in recent years, leaving it with the lowest percentage — 13.6 percent — of children under age 18 of any major city in the country, according to census data. Whether these programs benefit the poor is hard to gauge, but it definitely sticks it to the middle class who pay for the programs, but cannot utilize them. Heckman bases these claims on the supposed results of a couple of boutique programs 40 years ago in North Carolina for poor blacks, with the total number of treatment group children on the order of 100. The data from at least one of the programs was fishy (“faulty randomization”). Assuming that the claimed benefits were real, would those benefits persist in scaled up programs 40 years later for different sorts of children? For example, many of the “disadvantaged” children in California are Hispanic. Hispanics and blacks are different in many ways. There’s no reason to think effects for Hispanics will be the same as effects for blacks, yet that issue gets ignored when the SJWs push for programs they like. The Bay Area is a really expensive place to live. Why shouldn’t poor people go somewhere else, rather than soaking up huge amounts of government money so that they can stay put? And think of the huge benefits from kicking out the illegals. That would have a return on investment much larger than that for “early childhood education and high-quality child care”.